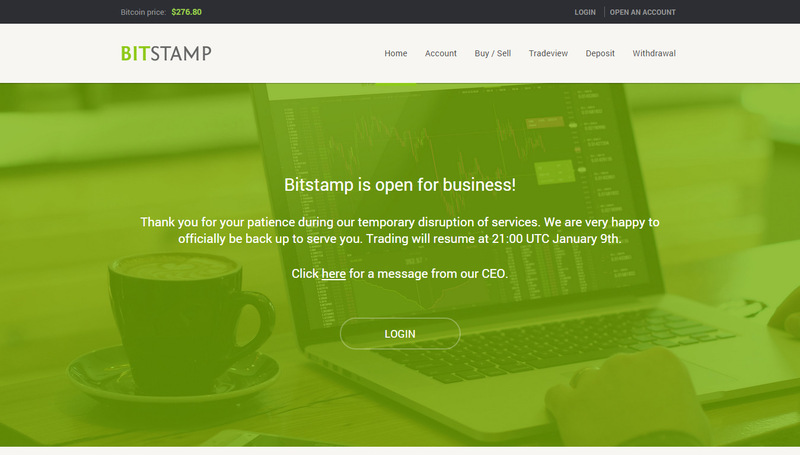 After a few days being offline the hacked Bitcoin exchange Bitstamp is back online and the service operators claim to have significantly improved the security. The hack of the exchange that has apparently happened on January 4th some of Bitstamp’s operational wallets were compromised, resulting in a loss of less than 19000 BTC. The exchange has promised that there will be no actual coins missing from the user accounts, so they are apparently going to cover the stolen coins. Below you can find the list of the improvements to the system now that it is back online and operational. With the integration of BitGo multi-sig technology, Bitstamp is now the first and only major bitcoin exchange to incorporate the industry’s best security practices available today. The Bitstamp systems are running on 100% new hardware deployed from a completely secure backup of our code and data. Bitstamp is now running on Amazon’s world-class AWS cloud infrastructure, architected to be one of the most secure and reliable cloud computing environments available. As a note of thanks to our loyal customers, all transactions conducted on Bitstamp through the end of the North American Bitcoin Conference – January 17th (at 11:59pm UTC) – will be commission-free. The big question that remains now is if Bitstamp will be able to quickly return the positions it had prior to being hacked and being offline for a few days. So far the exchange apparently hasn’t lost the trust of many of the users, but still some of the people that used Bitstamp as a primary exchange could decide to move their coins and continue trading in another alternative exchange due to the downtime and may not resume using the service now that it is back online. BitStamp, one of the top Bitcoin exchanges at the moment is temporary unavailable as security precaution due to possible compromise of some of their hot wallets. The downtime should not take a lot of time and there is probably no reason to be concerned about the possible problem as the service does store most of the coins in their cold wallet. Only some of the deposits/withdraws that have happened in the last few hours might be affected and these should be covered by BitStamp. In the meantime, while the service is temporary unavailable, there is a warning to users of the exchange not to send any coins to their wallets as these deposits will not appear in your balance, so you should wait for BitStamp to be fully operational before doing any coin deposits. 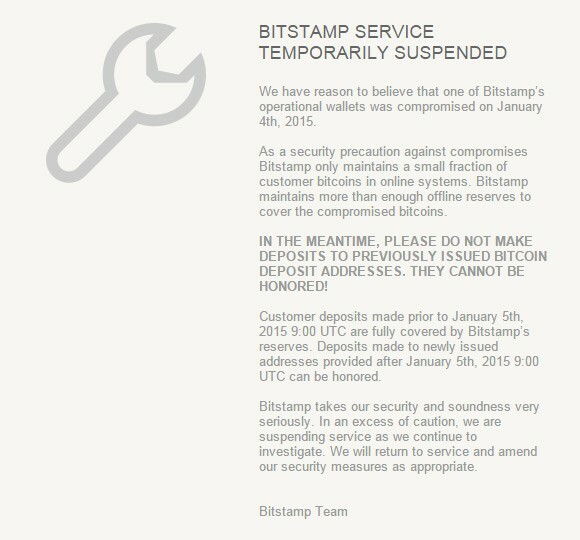 Update: It seems that the security breach on January 4th have caused some of Bitstamp’s operational wallets to be compromised, resulting in a loss of less than 19000 BTC according to the latest update from the exchange. The service is still not back to normal operation, but Bitstamp reassures their customers that they don’t have to worry that they will loose their coins. This breach represents a small fraction of Bitstamp’s total bitcoin reserves, the overwhelming majority of which are held in secure offline cold storage systems. We would like to reassure all Bitstamp customers that their balances held prior to our temporary suspension of services will not be affected and will be honored in full.